Pages Past - Used & Rare Books. Pages Past is a small used & rare bookshop located a few blocks from the University of North Carolina at Greensboro. We have been serving the Triad community, as well as customers from around the world, for since 1996! We have around 10-15,000 volumes in our shop. We specialize in North Caroliniana, Virginiana, Civil War, Old Leather, Christianity, Eastern and Western Philosophies, and the simply unusual. We very likely have the oldest books in Greensboro; we keep a nice selection of antiquarian volumes and scholarly books. We are always interested in buying quality books in very good or better condition. Please feel free to stop by our shop or to browse our catalogues at the Advanced Book Exchange (Abebooks)! (We only have about 20% of our stock listed online, and new stock is shelved daily). Click here to contact us! Please include your email address with your message! & Have Fun Browsing And Exploring Old Books! Click here to visit our Biblio store! All items returnable, but please send notice first! We accept MasterCard, Visa, Discover,American Express, checks, and money orders. Shipping is $4.00 for bookrate (domestic) for the first volume and $1.00 for each additional volume. Priority shipping (flat rate) is $7.25 for the first volume and $2.00 for each additional volume. International shipping is quoted individually. (We have only about 20% of our stock listed on our online venues, so if you can't find what you are looking for, call or email us and we can check for you). Come on in and see what's old! To stay informed on all the sales and shows, subscribe to our weekly email! Click this link. 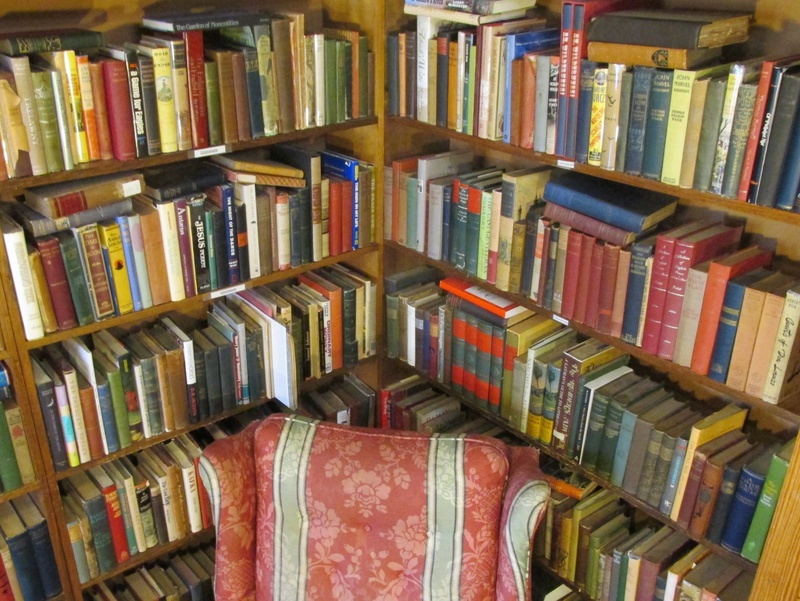 In our used bookshop in Greensboro, we have lots of old NC books; Civil War books; Old Christian History and Theology; Americana, Travel, World History, Poetry, Literature, Archaeology, Geology, Vintage Children's Books, Engineering, Architecture, Art, Music, Virginia, etc. Check out our Auctions on Ebay under our Seller name of WOODLANDSWALKER. Most auctions begin at $9.99 with NO RESERVE! !